This TX-8000 is exactly identical as the Video Technology Laser 200. 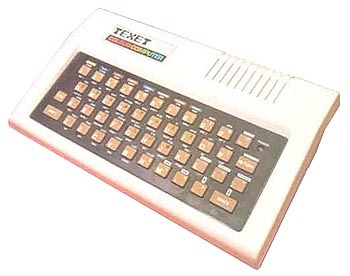 It was sold only in the UK where it was, for a short time, the less expensive colour home computer. see more Texet TX 8000 Ebay auctions !